5 Questions You Have About Surrogacy Laws in North Carolina | Parker Herring Law Group, PLLC 5 Questions You Have About Surrogacy Laws in N.C. In the United States, there are no national surrogacy laws regulating this family-building process. Instead, each state has its own laws and regulations on surrogacy — which can be confusing for intended parents and prospective surrogates who are just starting to learn more about this process. Fortunately, the surrogacy attorneys at the Parker Herring Law Group PLLC are always available to explain the surrogacy laws in North Carolina and how they will apply to your particular surrogacy process once you have found a surrogate or intended parents for your surrogacy process and have completed your initial screening at your fertility clinic. Please contact our law firm to learn more about applicable North Carolina surrogacy laws and retain our legal guidance moving forward. If you are still in the beginning of your surrogacy process and conducting your research on North Carolina surrogacy laws, you can find the answers to some commonly asked questions about state laws below. 1. What are the surrogacy laws in North Carolina? This is often the first question that intended parents and surrogates have about the surrogacy process in North Carolina. There are currently no surrogacy laws in North Carolina nor are there cases regulating the surrogacy process — but it’s important to know that this does not mean that surrogacy in North Carolina is illegal or unsafe. On the contrary, surrogacy attorneys like those at the Parker Herring Law Group PLLC and other professionals across the state have created a safe and efficient manner of completing surrogacies in North Carolina. Despite the fact that there are no state surrogacy laws, many intended parents and surrogates have successfully achieved their surrogacy dreams in North Carolina. Adoption legal professionals like Parker Herring work to draft and negotiate contracts that anticipate as many situations as possible that may develop during the process. The Parker Herring Law Group PLLC can explain the different steps involved in legally completing a surrogacy in North Carolina to help you reach your surrogacy goals. Our attorneys can assist you through the surrogacy contract and pre-birth order process whenever you are ready to begin. 2. Are there surrogacy laws in North Carolina on surrogate compensation? Unlike some other states, there are no North Carolina surrogacy laws that restrict the ability of a surrogate to receive compensation for her services. Attorneys for intended parents and surrogates will negotiate the compensation for each party to agree to, and the compensation agreement will be enforceable as outlined in the legal surrogacy contract. On the same note, surrogates who wish to complete an altruistic surrogacy also have that right in North Carolina. Even if a surrogate chooses to not receive any base compensation, she will still need to work with an appropriate surrogacy attorney to ensure she receives the proper financial assistance for pregnancy and medical expenses. And, she still should have a contract so that all issues — from health insurance to problems during the pregnancy — are anticipated and negotiated. 3. How do I get my name on my child’s birth certificate? It is common for intended parents to wonder how they will establish their parental rights when another woman is giving birth to their child. While there are no North Carolina surrogacy laws that lay out this process in a state statute, surrogacy attorneys at the Parker Herring Law Group PLLC adhere to a clear legal process to obtain pre-birth orders. A pre-birth order allows for intended parents to have their parental rights established before their baby is even born. This legal parentage order allows for the intended parents’ names to be listed on the original birth certificate and for the intended parents to have access to their child and make medical decisions in the hospital. Even if a sperm or egg donor is used in a surrogacy, surrogacy attorneys can still work with intended parents to secure a pre-birth order for their child. Additional affidavits from gamete banks or donors may be necessary, but your surrogacy attorney will make sure all necessary documents are gathered to protect your parental rights. At the Parker Herring Law Group PLLC, we start the pre-birth order process at about five months into the pregnancy to make sure that there is a pre-birth order in placed. Once an order is in place, the surrogate and the adoptive parents are given copies to take to the hospital. 4. Are there any North Carolina surrogacy laws for LGBT intended parents? Because of the 2015 marriage equality ruling, LGBT intended parents have all the same rights as heterosexual intended parents in a North Carolina surrogacy. There may be additional steps to be taken due to egg or sperm donations, but your North Carolina surrogacy attorney will guide you through those extra steps. One important thing to know about North Carolina surrogacy laws: Second-parent adoptions are not possible in North Carolina. Therefore, unmarried LGBT couples often cannot establish their parental rights if they have no genetic connection to their child. The same will go for unmarried heterosexual couples who use a donor sperm or egg. If you are a member of an LGBT couple completing a surrogacy in North Carolina, it’s advised that you are married, in order to complete a stepparent adoption after birth. If you are not married, it’s important that you speak with an attorney about establishing custody rights at the beginning, so that you can always have a relationship with the child. 5. What are my first steps for a surrogacy in North Carolina? While this article addresses the most common questions about North Carolina surrogacy laws, every surrogacy and legal situation will be unique. Therefore, it’s important that you work with an experienced surrogacy attorney to protect your rights and interests during this life-changing process. 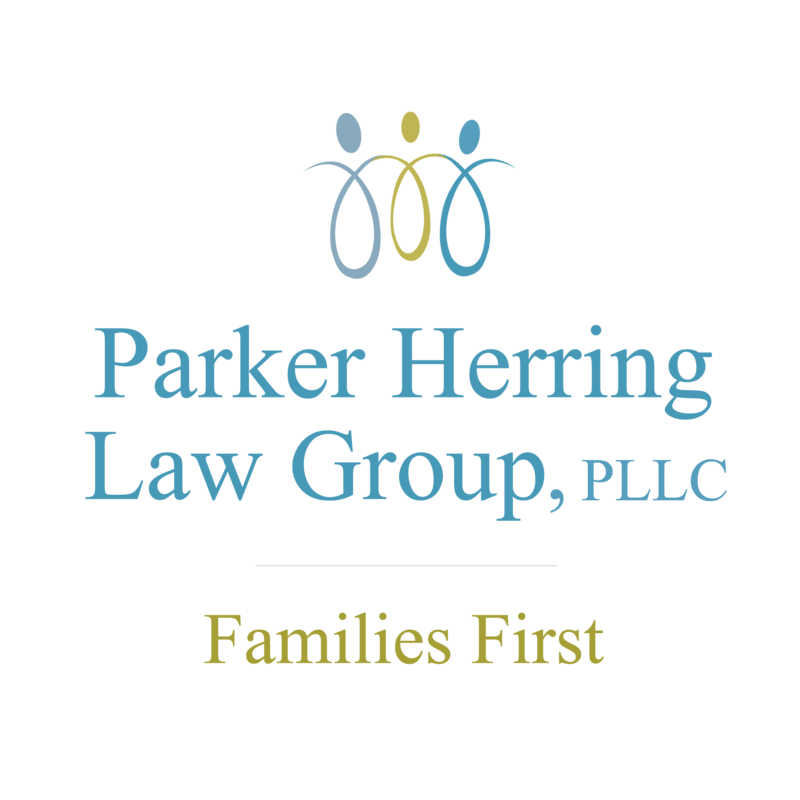 The Parker Herring Law Group PLLC stands ready to assist you throughout your surrogacy in North Carolina, guiding you through any state surrogacy laws that affect your personal journey. Our assisted reproduction attorney Parker Herring is personally familiar with advanced assisted reproduction practices and is able to empathize and help you through the process. If you have already found a surrogate or intended parent and have been cleared by your fertility clinic, you can contact our surrogacy attorneys to start your legal process today, including drafting your surrogacy contract and completing any steps needed to establish parental rights. Please call us at 919-821-1860 or submit our online form to schedule an initial consultation.